I am proud to present a number of articles I am translating to English by Ralph Alpizar. Who is Ralph Alpizar? 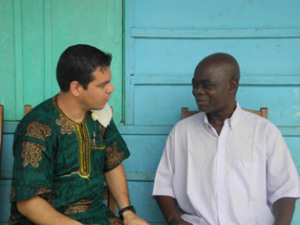 He is a columnist, writer and researcher that specializes in Ba-Kongo culture and its survivals in Cuba. He has written and co-authored numerous books and articles with world renowned authors. He has produced and directed a number of television programs as well. He also regularly contributes articles to magazine and newspapers and participates in radio and television programs as an expert on his areas of study. He has also participated in conferences, workshops and courses focusing on Bantu culture at prestigious Universities and Cultural Centers throughout Europe, Africa and Latin America. He has been recognized with various literary awards because of his work in the field of study of the preservation of Ba-Kongo culture. Currently Mr. Aplizar is president of the ASOCIACIÓN DE CULTURA TRADICIONAL BANTÚ (ACTB) (1997-2013) as well as Director of Agencia de Noticias sur, ANSUR (2007 -2012) and Editor of Ediciones Maiombe (2012 – present).